Throughout time, signboards have continued to form important visual graphics that are used to display information to the target audience. They are usually manifested in the form of wayfinding information in places such as streets, on the interior or exterior of buildings, etc. Signboards can be a great way of advertising your brand in the most effective manner possible. Signboard mockups play a significant role in presenting the design to clients, portraying how the actual signboard shall look like. 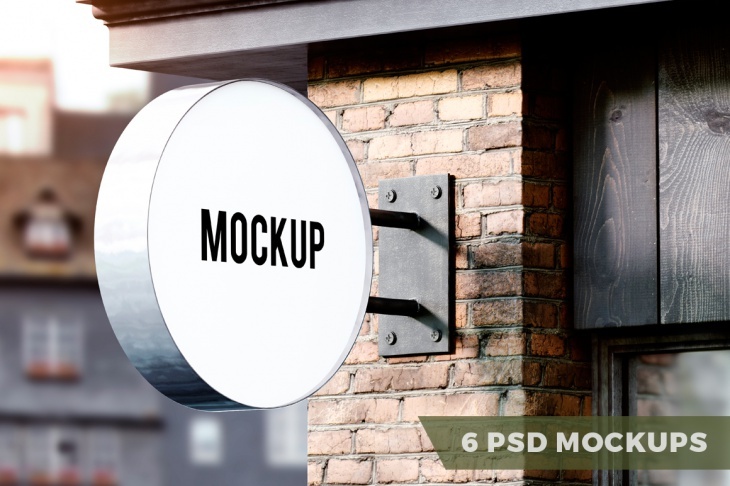 Today, we share with you a great collection of mockups that we believe will inspire your signboard designing considerably. 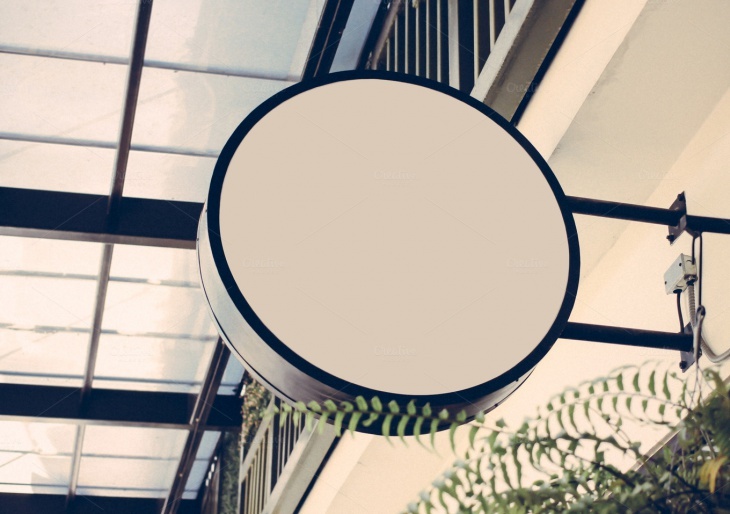 The entrance signboard plays a vital role in advertising your business. This logo mockup design can be ideal for showcasing your fashion store, boutique, shop, bar, restaurant, showroom, etc, in the most entrancing manner possible. 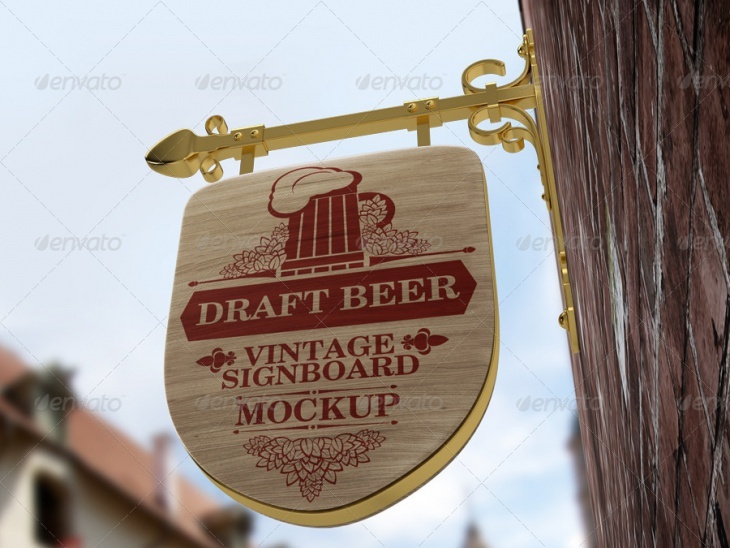 If you want to give the signboard or logo of your business a vintage touch, then this could be the right design to employ. 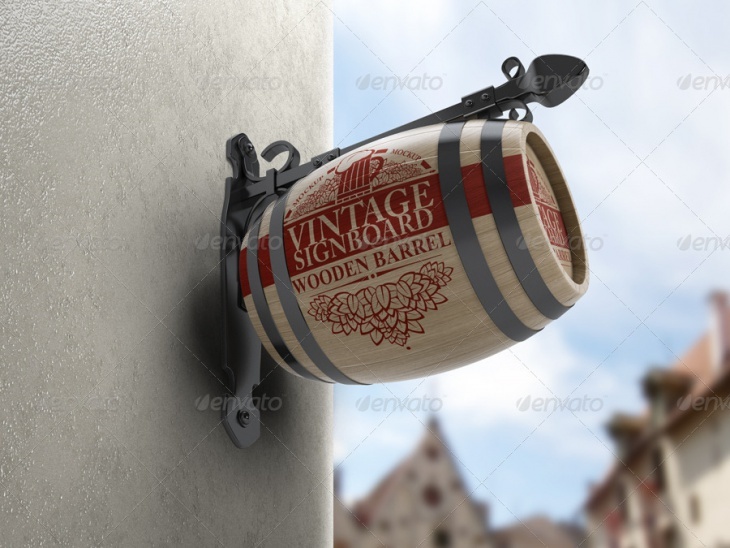 It is ideal for an old-fashioned bar or restaurant. Plus, the file is easily editable. 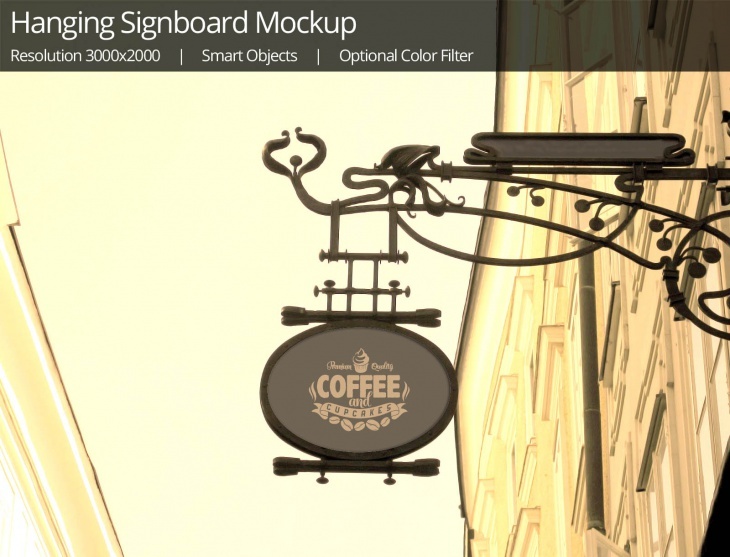 This pack consists of 6 easily editable psd files featuring shop or café signboard designs that are all easy to use. The high-resolution files come with smart objects which render editing and replacement of images easy. When strategically positioned, hanging signboard designs can help advertise your business effectively. 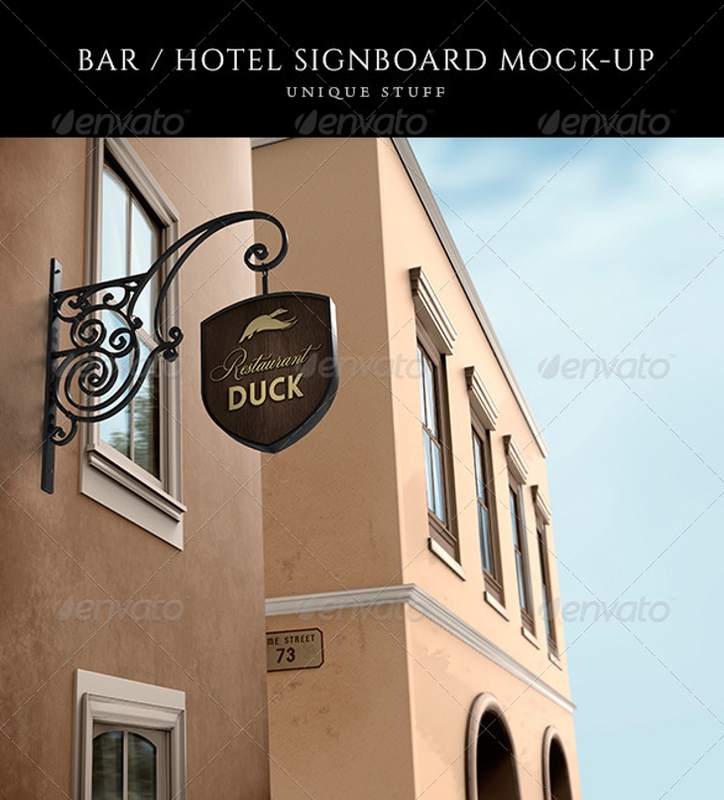 This mockup can be a great way of creating a great design of such a signboard. You can easily customize the design with the help of smart objects. The spectacular natural look of classic wooden signboard can render it really attractive. 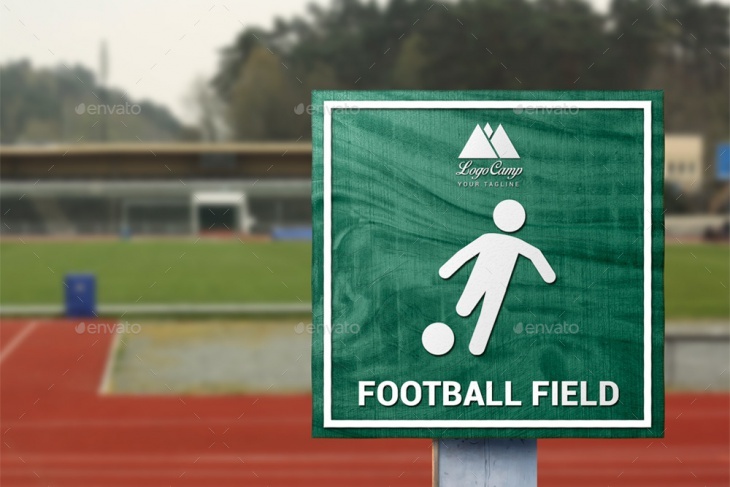 And, if that is the effect that you want to give your artwork, then you definitely need this easily editable signboard mockup. It is a matter of showcasing your design ideas in an alluring and professional manner by which customers can clearly envisage the intended final production. Besides, seeing your graphic design in a practical state can dramatically help you and your client to identify all the necessary adjustments or fine-tunings that need to be done on the design prior to its final production. And, this is exactly what a good mockup design helps you to achieve. 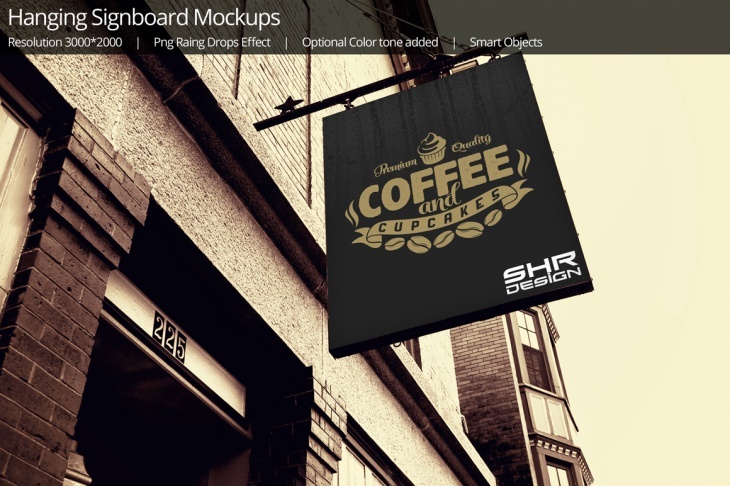 It is our hope that you have found the above mockups collection not only inspiring but also suitable for your signboard design projects.